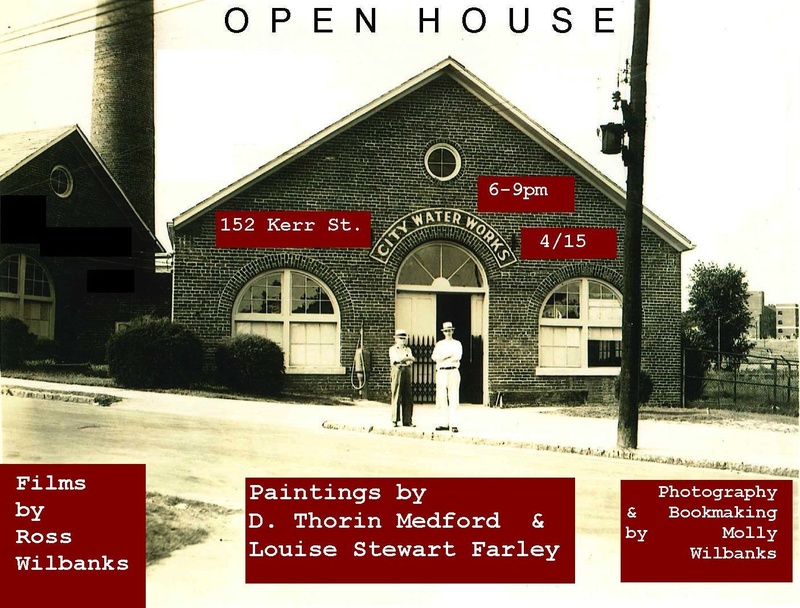 OPEN HOUSE, Cabarrus Art Walk, THIS FRIDAY! Meet the Artists of Waterworks Studios! Paintings by Louise Stewart Farley! Paintings by D. Thorin Medford! Photography and Artists Books by Molly Wilbanks!